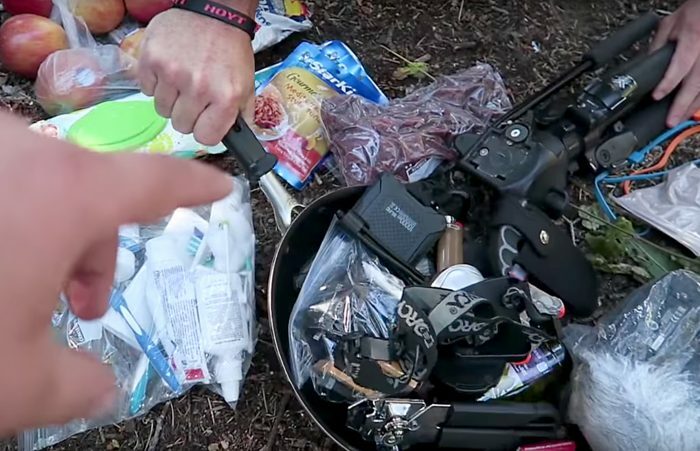 We all have that buddy who packs a smidge too much for the adventure. And by smidge, we mean an insane amount of gear that causes a pack to nearly explode. Despite our ultralight ways, we all love our over-packer once camp’s set and we can enjoy the fruits—and whatever else they humped uphill—of their labors. But this guy, this dude right here, wins at over-packing. 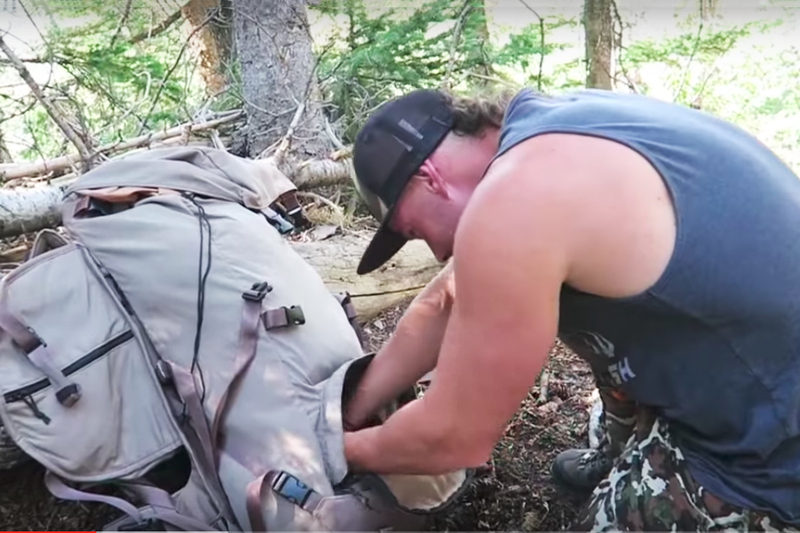 The video below shows one of the more comical backpack loads we’ve seen in a while. Note: the video goes on for 15 minutes, watch as much, or little as you want. A can of pulled pork, no wait 3 or 4 cans…maybe 5? Ok, that’s just the food. We aren’t including his hammock, clothes, boots, sleeping bag, and on and on. Perhaps the most interesting packing decision was to bring all that food and all that camp gear and not a shirt with sleeves. Fascinating. Good on ya, Eric! From the looks of those biceps and calves, the load was just the warm-up for some off-grid CrossFit. We hope you can carry our adventure gear sometime soon. We’ve heard a 10-pound spiral cut Christmas ham with all the trimmings tastes best 40-miles into the backcountry. Thanks to Hushin to think of recording this spectacular haul. Looks like you guys ate well out there. What’s the funniest thing you’ve seen carried into the backcountry? Curious hikers want to know.